Modern cosmetology can not be imagined without hyaluronic acid. Currently, any cosmetics produced by many companies that unfortunately do not give the desired effect do not contain hyaluronic acid, or contain its substitute. Our natural "rejuvenating" cream is well and easily absorbed in the upper layers of the epidermis, while having a lot of useful components. After applying our cream, a positive result is ensured. All creams are 50 grams. Apricot kernel oil Apricot kernel oil has anti-inflammatory, regenerating and tonic effect. It is suitable for all skin types, including the delicate skin of infants and skin prone to age-related changes. With it, you can get rid of sweating, diaper rash and seborrheic dermatitis in newborns, accelerate the healing of wounds and abrasions, get rid of cellulite, soften the coarsened skin areas and smooth out small wrinkles. Apricot kernel oil is a good moisturizer and gives the skin an even, beautiful, and most importantly healthy color. It beneficially affects both the problem skin, eliminating inflammation, and on dry, perfectly softening it. Cucumber oil Cucumber oil actively improves subcutaneous metabolism and makes our skin very elastic, radiant and healthy. 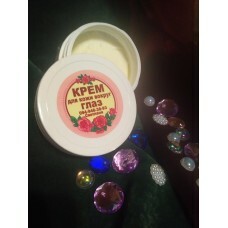 It is known for its soothing and light cooling effect on the skin, due to which it is widely used in cosmetics for and after tanning, as well as for sensitive skin. In addition to the high content of unsaturated fatty acids useful to the skin, cucumber oil is also rich in tocopherols, phytosterols, minerals, vitamins E and C, carotenoids. Essential oil of lavender Essential oil of lavender refreshes, regenerates, promotes deep renewal and rejuvenation of the skin. After applying the products containing lavender oil, instant redness, swelling, peeling, irritation, inflammation, and mild itching are removed. Lavender is ideal for special care for a damaged or supersensitive skin, exhibits amazing tonic properties for tired and flabby skin. Removing not only the inflammatory rash, but also preventing the growth of bacteria, lavender oil, while simultaneously affecting the level of fat release and normalization of metabolism, is ideal for treating acne. With regular use prevents the formation of scars and scars, pigmentation spots and discoloration of the skin. Grape seed oil Grape seed oil - regulates grease glands, has an antioxidant effect, tones, reduces pores and rejuvenates. Hyaluronic acid Hyaluronic acid, which is part of cosmetic products, forms on the surface of the skin a continuous thin film that retains the natural moisture of the skin without disrupting gas exchange with the environment. It is perfectly compatible with the skin, does not cause allergic reactions and irritation. Thus, a film of hyaluronic acid helps to quickly heal the skin without scarring. This property is especially valuable in the means for treating acne, for skin care after shaving and sunbathing. Poppy oil Poppy oil - increases the elasticity of the skin, softens, nourishes, removes inflammation and peeling. Rose hydrolat Rose hydrolat is a remedy that is obtained from the petals of flowers by steam treatment. It helps to prevent the appearance of the first wrinkles, soothing acts on the face and head skin, has an antibacterial effect, cleans pores from dirt.